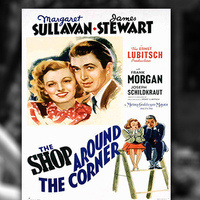 With Christmas nearing, the series will feature “The Shop Around the Corner” on December 3. The 1940 romantic comedy, which inspired the 1998 “You’ve Got Mail,” stars Stewart, Margaret Sullavan and Frank Morgan. Alfred Kralik (Stewart) is the top salesman at a leather-goods shop owned by the high-strung Mr. Hugo Matuschek (Morgan). One day, Klara Novak (Sullavan) shows up to the shop asking for a job. Despite Alfred’s annoyance with Klara, Hugo hires her. As the days leading up to Christmas go by, Alfred and Klara’s dislike for each other grows. However, Alfred and Klara are also anonymous pen pals, and despite their continuous annoyance with each other begin following in love through their correspondence.